There’s a lot of truth to the belief that Iceland is predominantly green and Greenland is predominantly ice. But that’s not to say Greenland is all ice and barrenness. In fact, there is plenty of green space and amazing scenery, and it can all be experienced in a number of park settings there. Quark is proud to offer guests a number of different ways to see the world’s largest island, and to provide access to its parks and nature reserves. Join us! Greenland National Park is an excellent place to start, simply because it’s the largest park in the country. In fact, at 375,000 square miles, it’s the largest national park to be found anywhere in the world. Not only that, it’s bigger than the majority of most countries! The park covers the entire northeastern coastline of Greenland, as well as much of the interior. It was established in 1974 and was expanded to its current boundaries in 1988, and is now an international biosphere reserve. 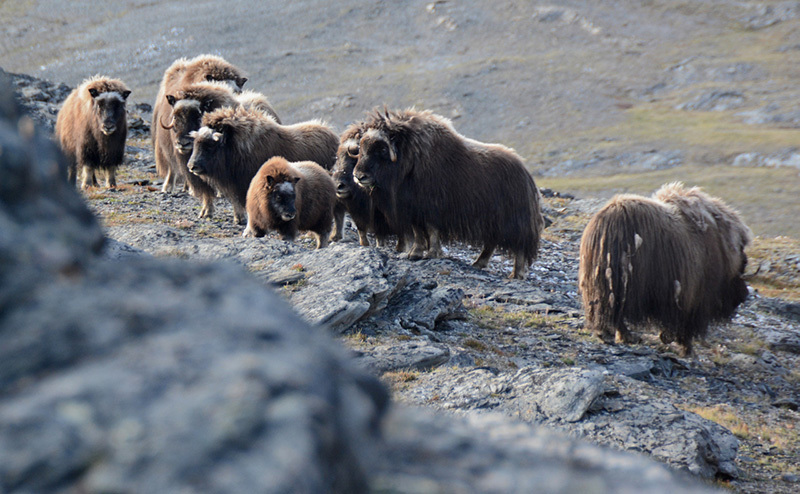 The National Park is home to many types of arctic wildlife, including up to 40 per cent of the world’s population of musk ox. 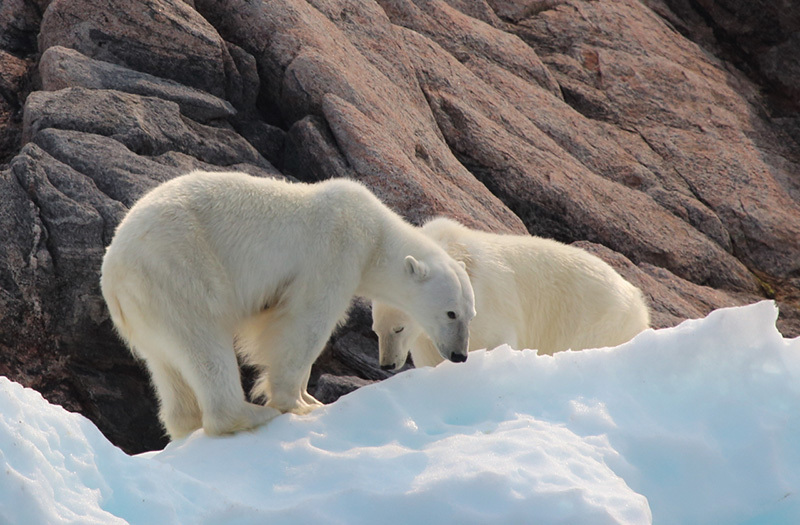 You’ll also see polar bears, walrus, arctic foxes and hares, beluga whales and various species of seals and birds. Nobody lives in the National Park, aside from a few meteorological staff and members of a Danish Armed Forces surveillance unit. Indigenous sealers and whalers also have access to the park. Other visitors must receive permission from Greenland’s Ministry of Nature and Environment. Ilulissat Icefjord in western Greenland is an absolutely stunning display of evolving nature – an iceberg-littered fjord about 55 kilometers in length and up to six km wide. To put it in better perspective, it covers an area of about 66,000 football fields. The massive glacier known as Sermeq Kujalleq, part of the Greenland Ice Cap, is situated at the eastern end of the fjord. The glacier is the fastest moving in the world, flowing at 40 meters a day, and it fills the fjord with icebergs that calve from it. As many as 20 billion tons worth of icebergs flow through the fjord each year on their way to the Atlantic Ocean, some of them up to a kilometer in height! Since 2004, Ilulissat Icefjord has been a UNESCO World Heritage Site. Visitors have the unique opportunity to see first-hand and to understand how climate change is affecting the Greenland Ice Cap that produces such magnificence. Several nature reserves are also located on the island. The largest of these is Melville Bay, in northwest Greenland, which was established to protect breeding polar bears, beluga whales and narwhals. This is also an important breeding area for ringed seals and some rare arctic birds like the sabine’s gull. Proceeding south along the western coastline, you’ll find other protected areas; in order, they are the Lyngmarken Landscape Protection Area, and Arnangarup Qoorua, Akilia, Ikka and Qinguadalen, all of which are nature reserves of varying sizes. Many visitors to Greenland love to put on a pair of hiking boots and take an exhilarating walk, and why not? It’s an easy and fun activity, and hikers of all abilities will have little or no trouble finding or making a trail to their liking, wherever they happen to be in the country. Hikers are advised to first spend a few hours at low elevations before trying an ascending route. Going up is definitely worth the climb, though – you’ll experience a fantastic panoramic view! Other hikers may enjoy walking to the coast. Fewer than 60,000 people live in Greenland, but it’s full of adventure, activity and awe. 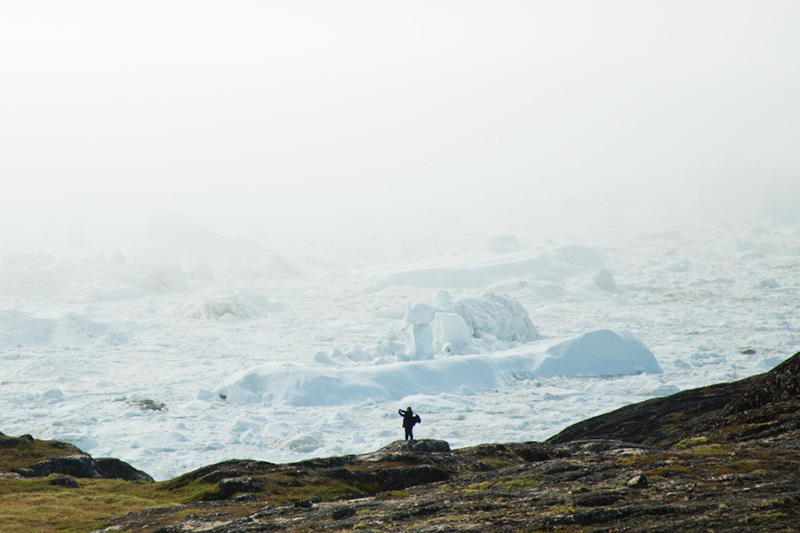 We welcome you on an upcoming Greenland adventure – get in touch with us today to start planning your visit!